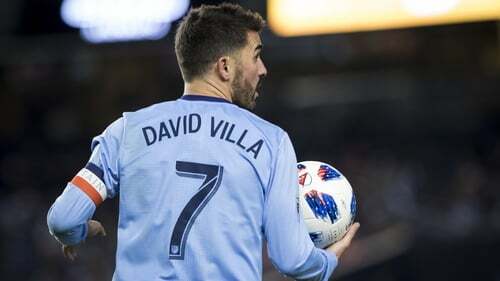 David Villa: "I have a new destination. A great challenge awaits." David Villa is set for a reunion with his former Spain and Barcelona team-mate Andres Iniesta at Japanese club Vissel Kobe. The 36-year-old striker has left Major League Soccer side New York City FC after scoring 80 goals in 124 games over four years. Villa will head for a new adventure now in Asia, announcing the move on YouTube. He'll link up with Iniesta and ex-Germany attacker Lukas Podolski. Villa won La Ligas with Barcelona and Atletico Madrid, a Champions League with the Catalans in 2011 as well the European Championships and the World Cup with his country.